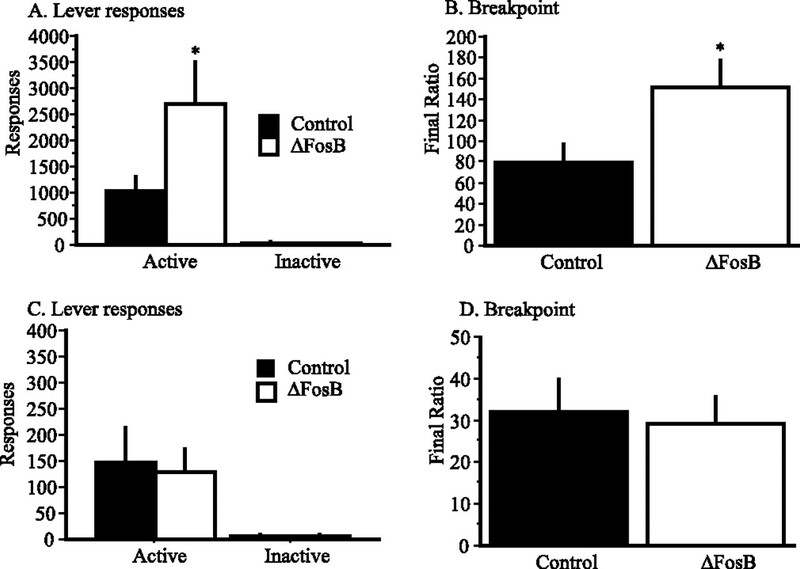 Effect of inducible overexpression of FosB in bitransgenic mice on instrumental responding on a progressive ratio schedule of reinforcement, before and after satiety-induced reinforcer devaluation. A, B, Baseline: lever responses (A), break point (B). C, D, After reinforcer devaluation: lever responses (C), break point (D). Data are represented as means ± SEM. *p < 0.05. You are going to email the following Figure 4.